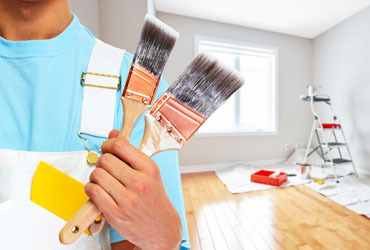 With the brighter and longer days of summer, many will be taking time to repaint their homes. A good paintbrush helps to achieve a professional finish, but there is no point investing in a high-quality brush if you can’t reuse it in the future! Check out our top three tips on how to clean your paintbrushes in order to best preserve them for years to come. Perhaps most commonly available are water and oil-based paints. It is important to determine which paint type you have used, in order to ensure the paint is effectively removed and the life span of the brush preserved. Removing water-based paint is a very simple process indeed. First it is important to remove any excess paint from your paintbrush using warm water. Once you have done this, it is important to soak your brush in water to help dislodge any remnants of paint from the bristles. After an hour or so, rinse your brush thoroughly again until the water runs clear. At this stage the paint brush can be left out to dry naturally before being put away for its next use. Oil based paints are a little trickier to clean as you will need to soak the brush in a chemical cleaner such as white spirit or turpentine, to remove any residue material from the brush. Remember that chemical cleaners should not be disposed of down the sink, but can instead be poured back into a container for reuse when you next need to clean your paintbrushes! For more information on home decoration, why not check out our earlier blogs, Painting Internal Doors and How to Paint Interior Walls.